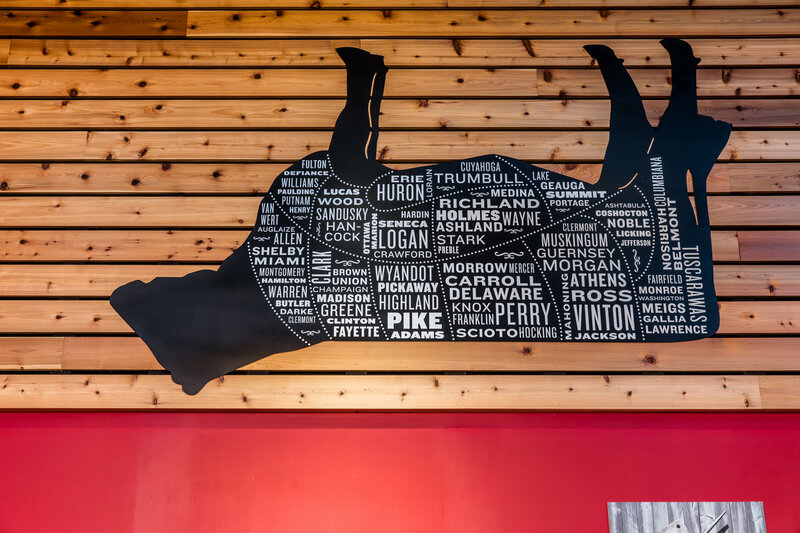 All-Ohio Beef, Beer & More. What more could you ask for? 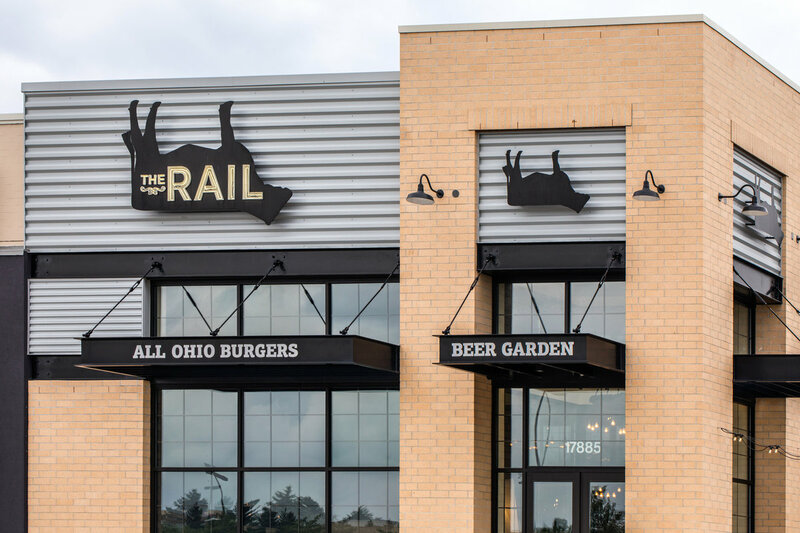 I guess that’s why Ohio-based burger bar The Rail made it not only its slogan but its namesake. 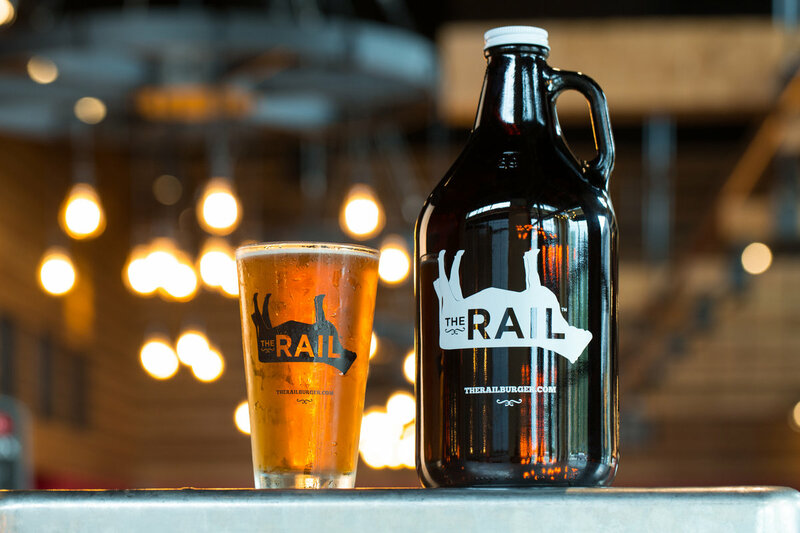 The Rail was founded in 2011 by award-winning chef Mike Mariola and his wife, Emily. 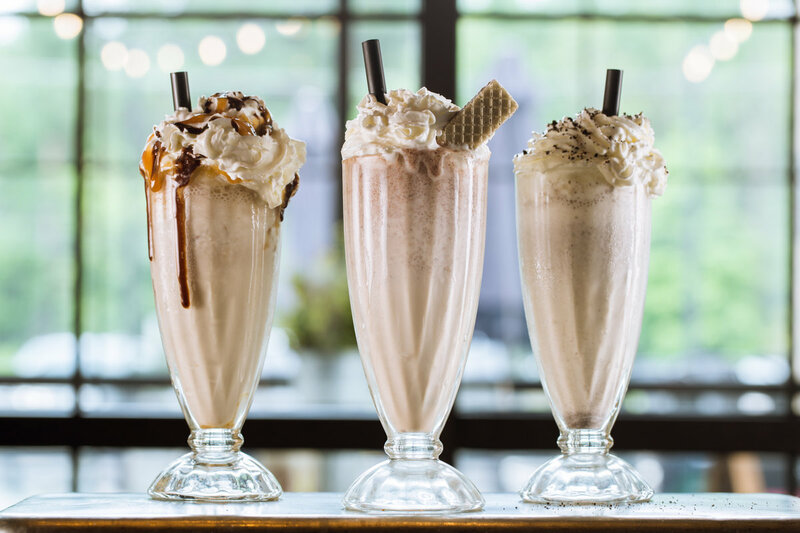 From the very beginning, they knew they wanted to create a gourmet burger bar that utilized the local Ohio flavors. 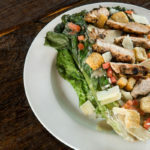 Drawing inspiration from their nationally recognized restaurant, The City Square Steakhouse, they produced a menu that champions creative American fare and Ohio craft beers. 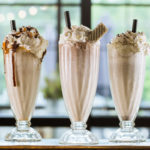 All five locations of The Rail proudly serve locally sourced ingredients and menu items, from milkshakes made with ice cream and milk produced by Ohio-based creameries to burgers crafted with beef from local farms. 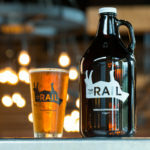 Recently, I had the opportunity to chat with founder Mike Mariola and The Rail’s executive chef, Mike Hawkins. 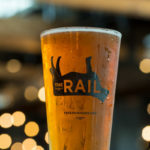 They shared some insight on The Rail’s mission, day-to-day operations, as well as the restaurant’s commitment to sourcing only the freshest, local ingredients. Tell me a little bit of The Rail’s history. 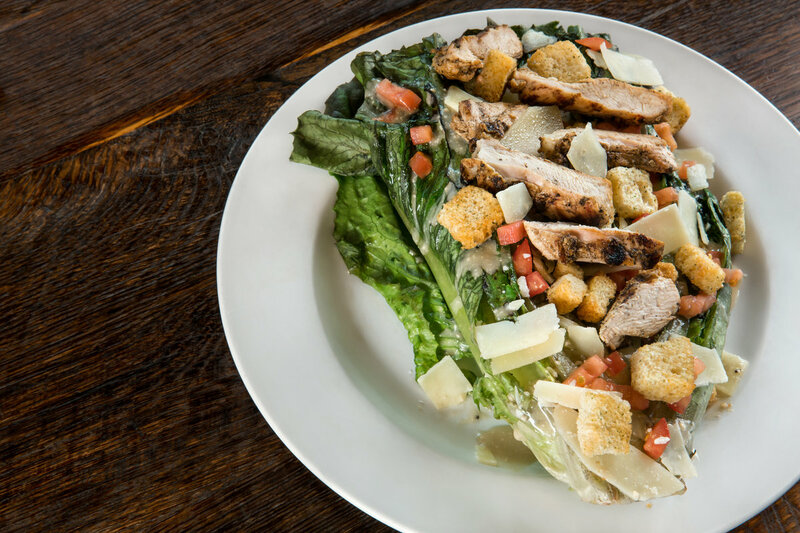 Mike Mariola: We started our company as a little bistro in Wooster, Ohio, back in 2002. 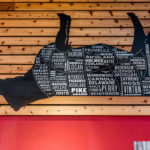 From there, we opened a steak house, also in Wooster and then the first Rail in Akron, Ohio, back in 2011. 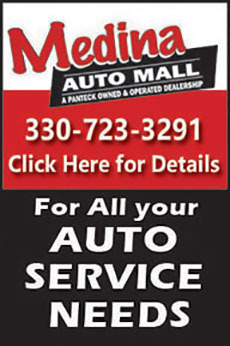 Since then, we have opened four additional Rail locations in North Olmsted, Canton, Strongsville and Dublin. The goal has always been to support Ohio farmers and breweries. 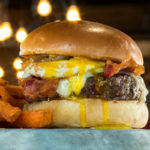 Why a gourmet burger bar? What is the inspiration behind The Rail? 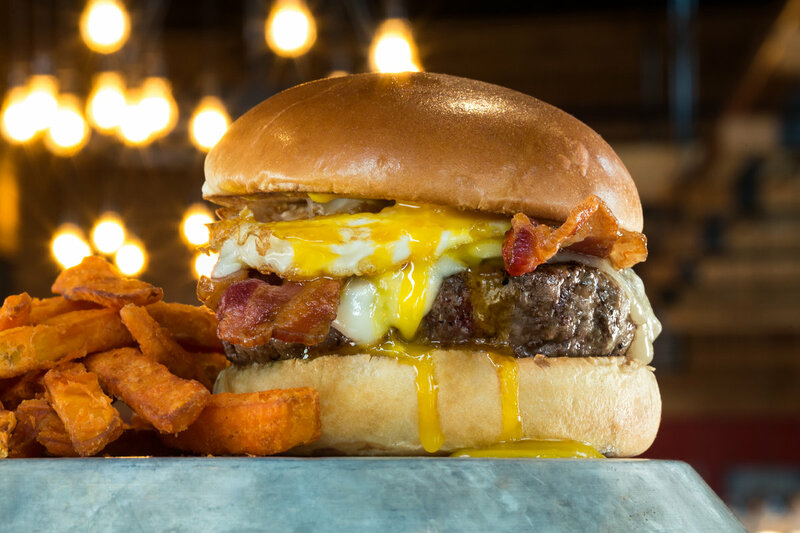 MM: The inspiration came from our City Square Steakhouse, specifically in our bar and patio where the most popular item was our burgers. I was confident that within that steakhouse experience lived the concept for The Rail. 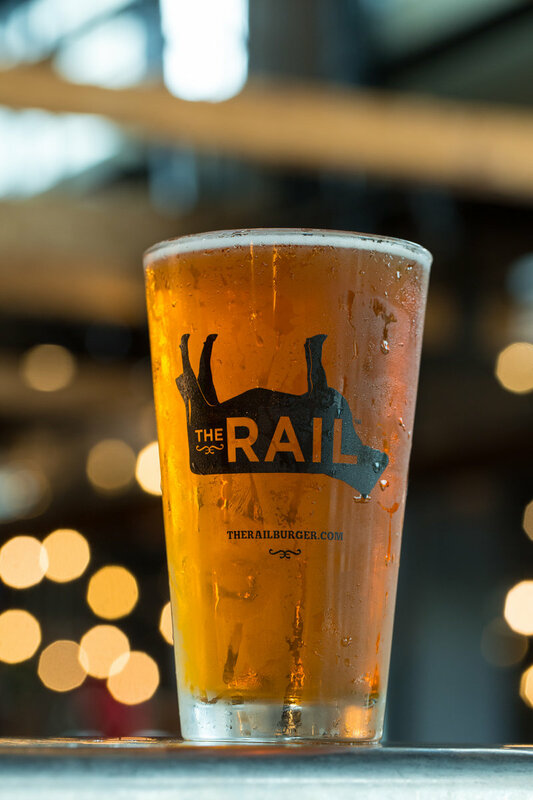 The Rail provides some of the same experience you would get at a great steakhouse but completely focused on chef-inspired all-Ohio burgers and craft beer. What is your culinary training? MM: I started working in kitchens as a dishwasher and cook when I was 14, eventually working for Chef Parker Bosley in Cleveland. 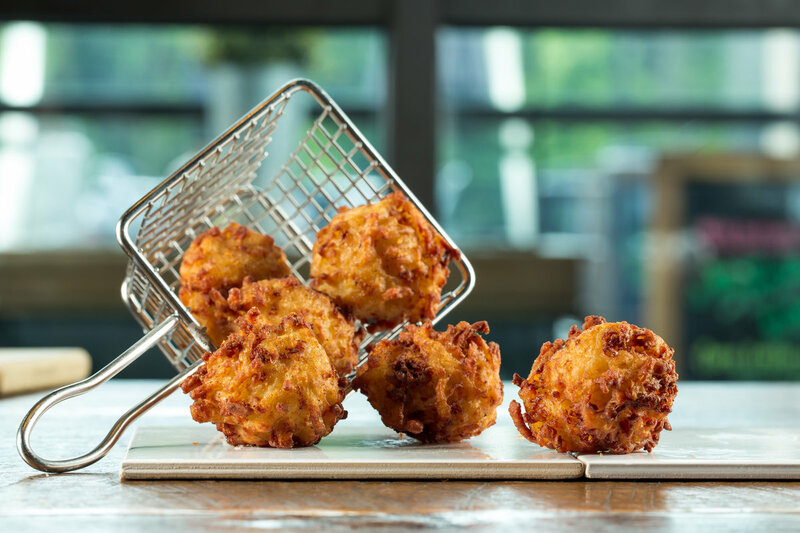 Parker was one of the grandfathers of chef-inspired local cooking in Cleveland. Much of my passion for buying and cooking local came from working with Parker and meeting all the amazing farmers. After working internships in Washington, D.C. and Paris, I returned to Wooster where my wife and I opened South Market Bistro. 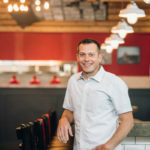 Mike Hawkins: I started cooking and working in restaurants at a small family-owned restaurant when I was 16. From there, I attended Pennsylvania Culinary Institute in Pittsburgh, Pa., to obtain my culinary arts degree. 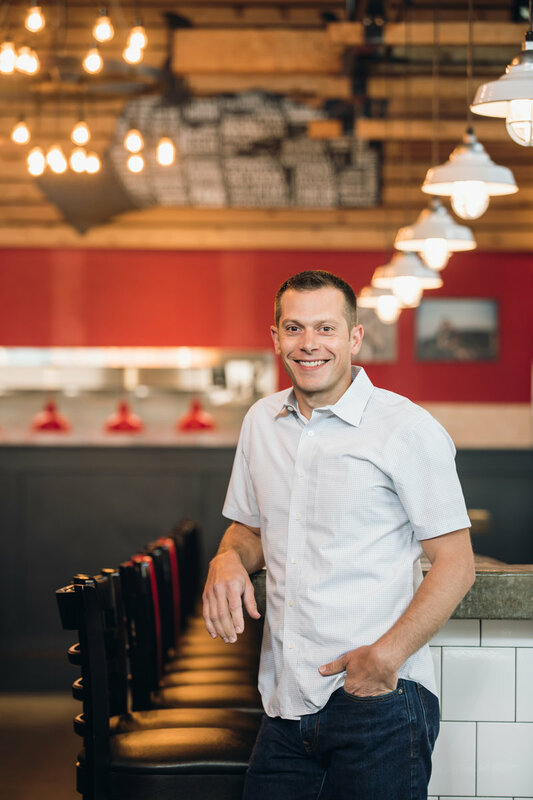 By falling into the cooking job when I was 16, it made me realize that I not only had a knack for the restaurant industry, but I also enjoyed the environment and fast-paced aspect of it. MM: I love to watch my kids play their various sports, spend time with family, outdoor activities and traveling. MH: Golfing! And anything to do with golfing! Other than that, anything outdoors really, with a focus on adventures with my wife and my dog. MM: Yep, since I was 14. MH: As a child, I always enjoyed being in the kitchen with my mother and grandmother but never considered becoming a chef. I originally started college for computer engineering and realized quickly that was not going to be for me. 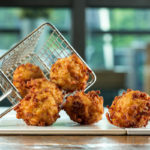 That’s also when I recognized that I thoroughly enjoyed the creativity that food allows and switched to culinary school. Do you enjoy the business side of owning a franchise? Or do you strictly stick to duties in the kitchen? MH: My role with the company is a good mix of business, operations and recipe creation. As a chef, I will always love food creation and execution, but I think I equally enjoy the business aspect, the people aspect and focusing on efficiency and training of operations. 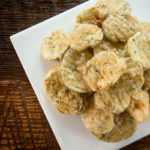 What is your favorite thing to make on the menu? What about favorite thing to eat? MM: The 7th Heaven is probably my favorite burger. This burger has red onion jam, bacon and truffle butter. Not too many ingredients, but the smoky bacon and the sweet onion jam go well together, and I love the truffle butter on almost anything! 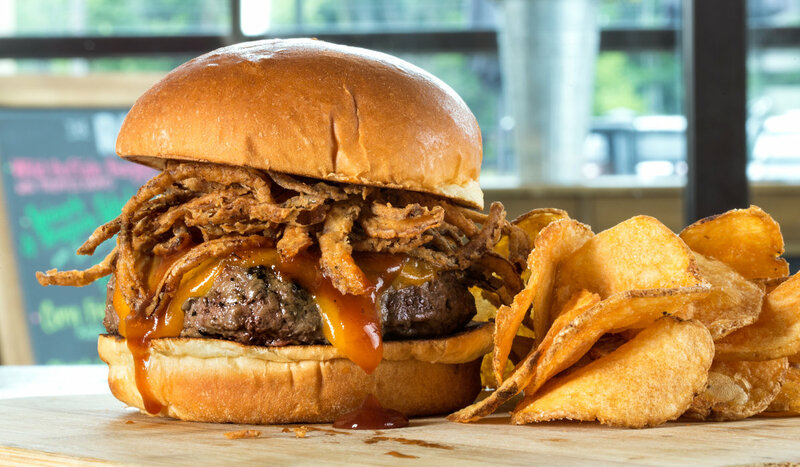 MH: Since I am probably the closest thing to a carnivore, my favorite burger is the Crouching Burger Hidden Bacon. 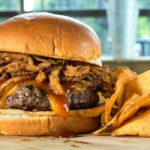 This burger has two pieces of bacon hidden below the burger patty, topped with a fried wonton for crunch, slow-roasted pulled pork and Rail Sauce (which is an Asian-inspired barbecue sauce involving plum sauce, Worcestershire and cilantro). Three different proteins on one sandwich—how could you go wrong? 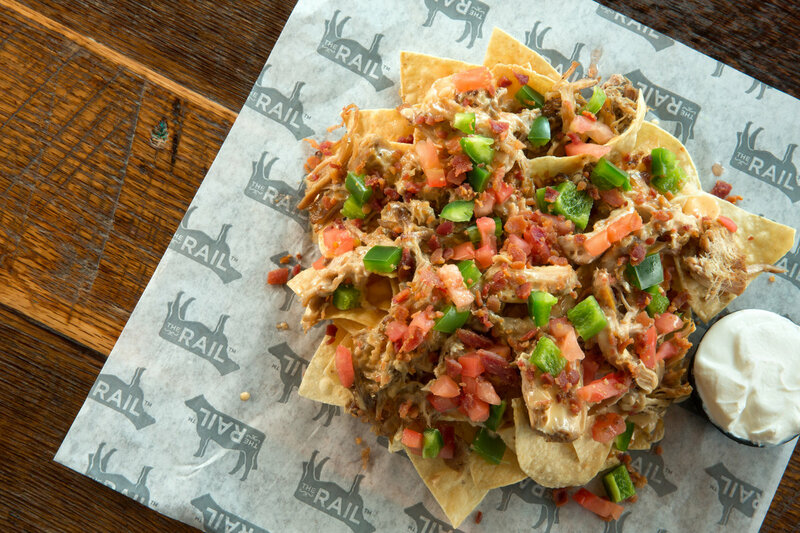 How do you source your ingredients for The Rail? MM: We work with our vendors to find whatever we buy from local producers as much as possible. 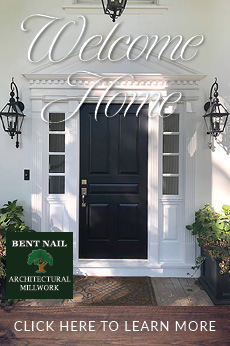 Since we have grown a reputation for being “all-Ohio,” we often get approached with new items on the market. Our vendors know to be on the lookout for us. 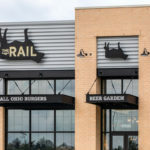 Would you consider The Rail an “eco-friendly” restaurant? MM: Yes. 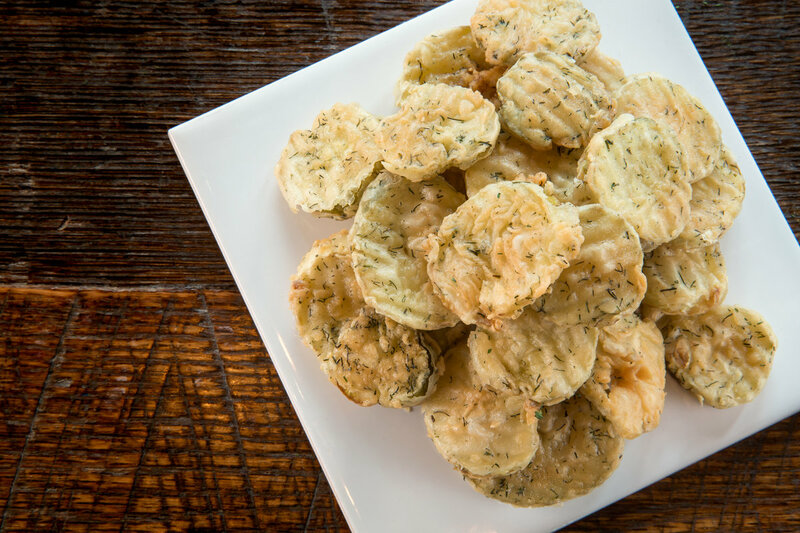 I think one of the most important aspects of an eco-friendly restaurant is food sourcing. Buying all our beef, pork, chicken, milk, ice cream, eggs, lettuce, buns, beer, spirits and more will help to reduce our total carbon footprint. 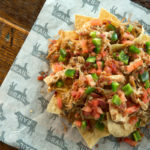 Are all of your menu items local to Ohio in some way or another? Are there any new locations in the works? MM: We are working hard to get another location in the Columbus area. We hope to have more updates soon.